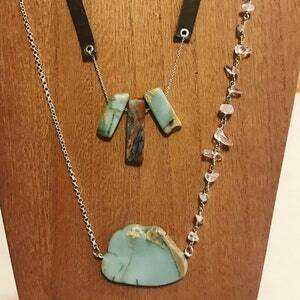 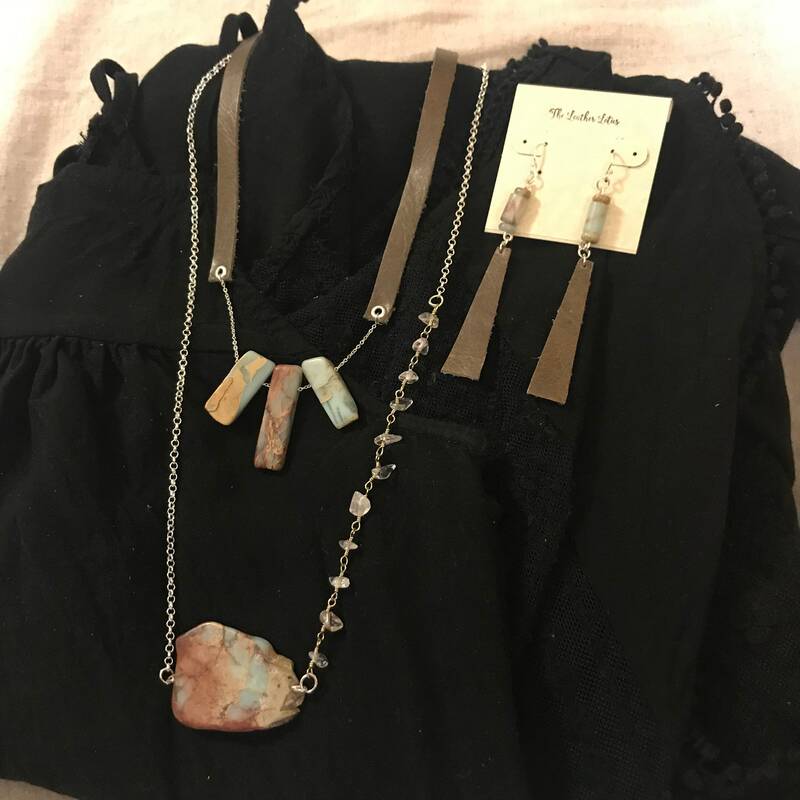 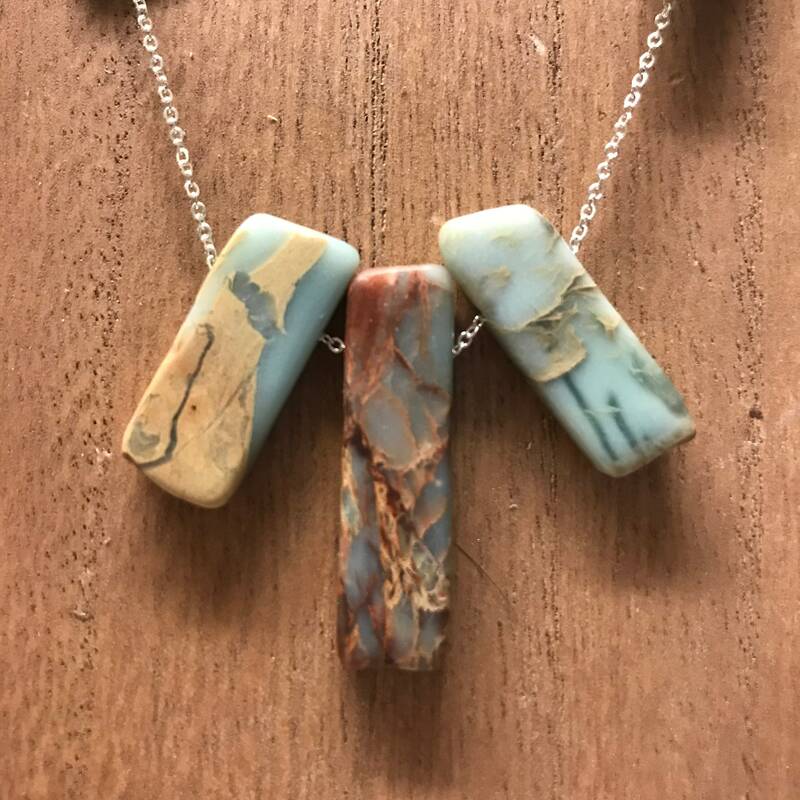 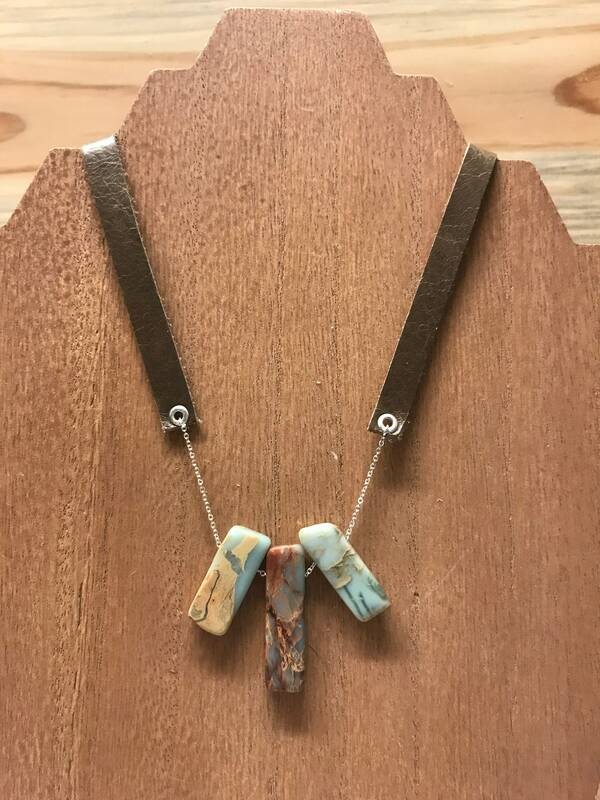 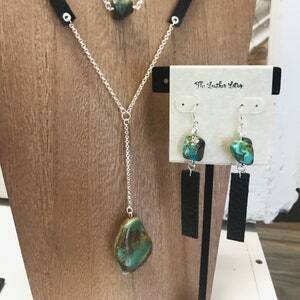 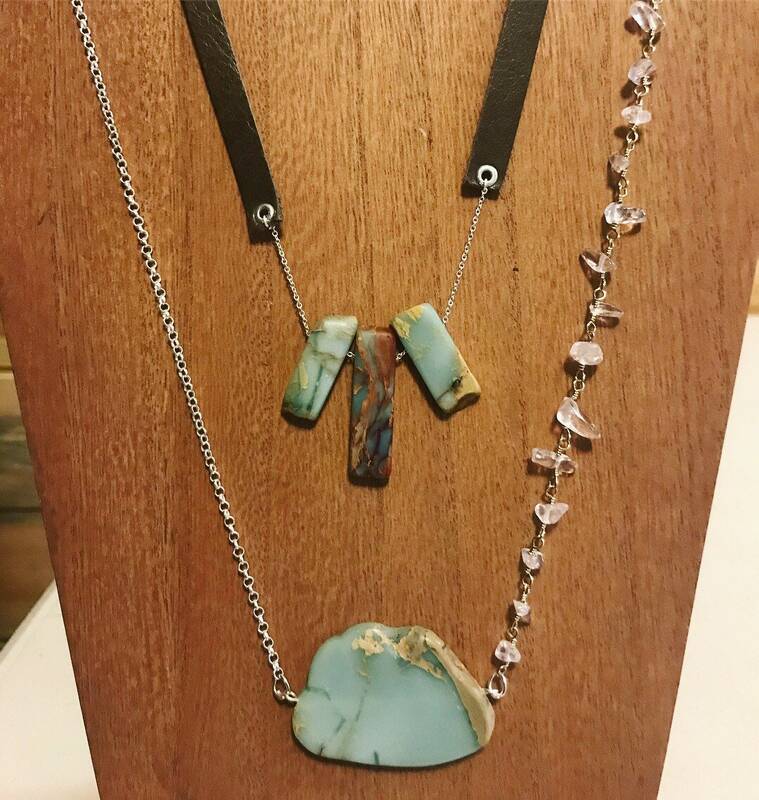 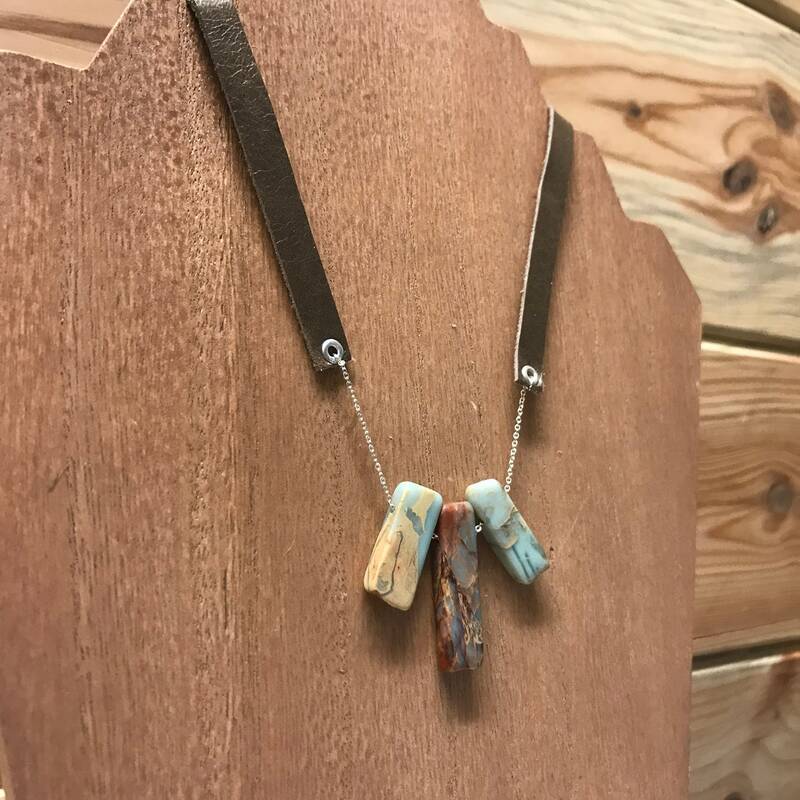 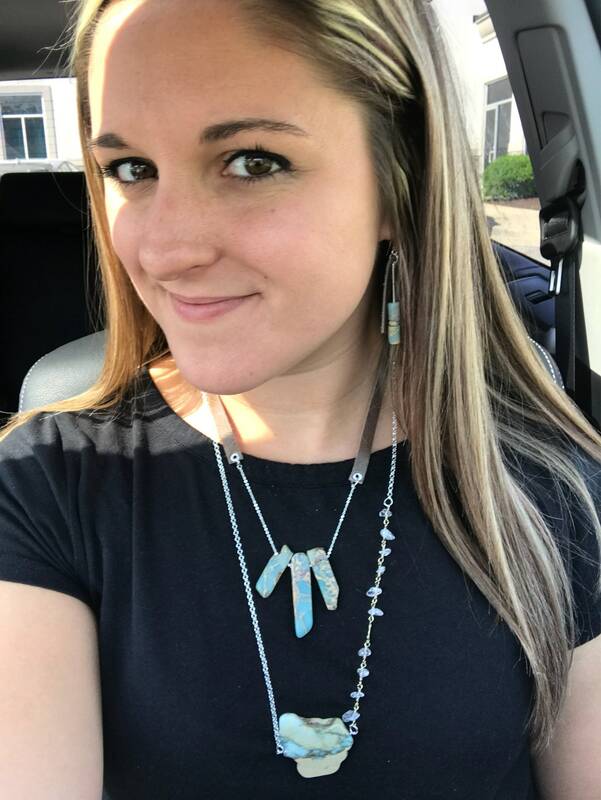 Three beautiful Aqua Terra Jasper spikes are paired with leather and Sterling Silver Chain on this eye-catching necklace. 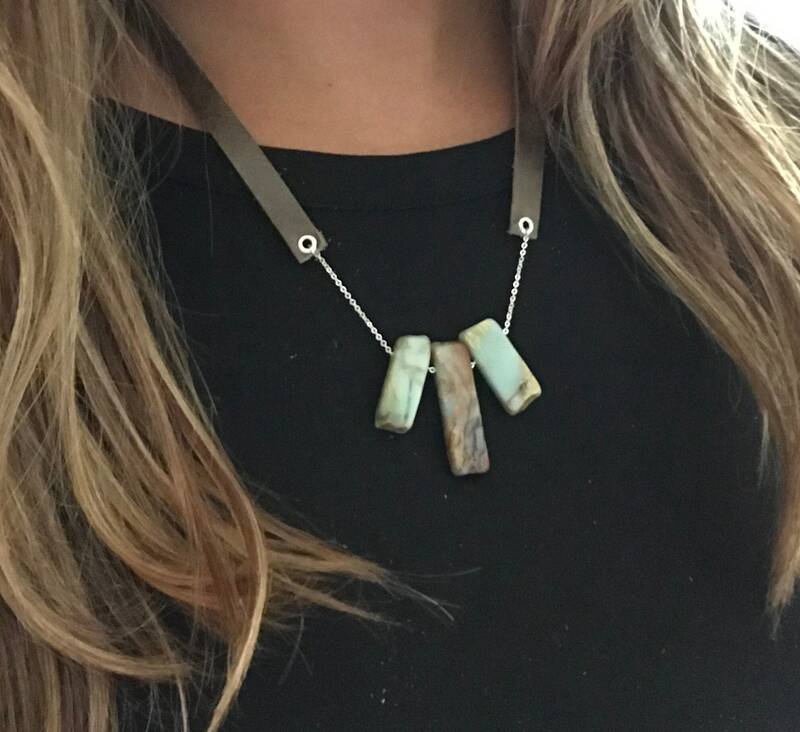 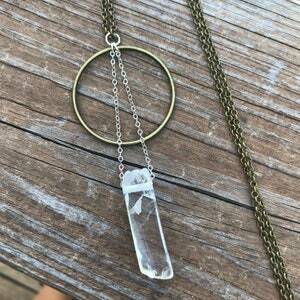 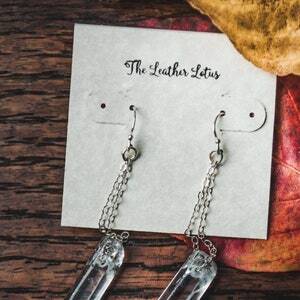 Perfect for layering, this is sure to be a favorite! 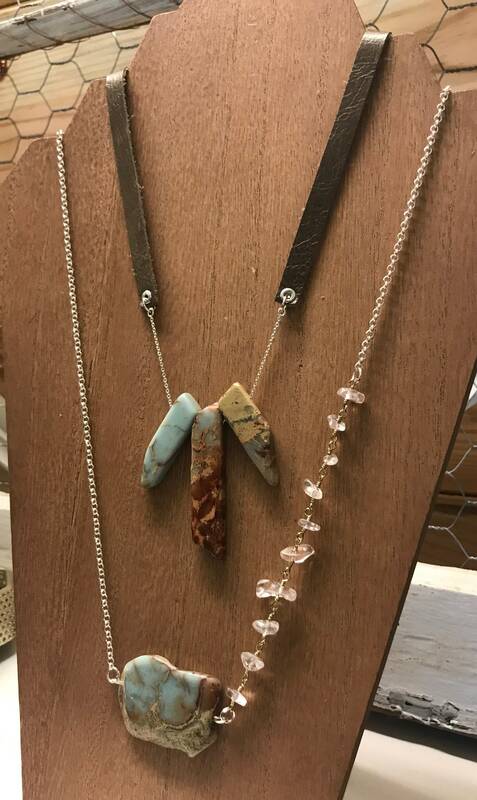 -Stones will vary slightly in color and size, as natural stone, no two will be completely alike!